We’ll begin the day with a welcoming circle at the farm altar. Gleaning is a traditional final harvest of agricultural fields that is given to those without access to land. It’s a wonderful opportunity to make a gift of one’s labor while enjoying beloved community in a beautiful contemplative setting along the coast. Please bring gloves, hats, water bottles, sunscreen, and anything else that you’ll need to be comfortable in variable weather. Closed-toe shoes recommended. Children and elders warmly welcome! Please park in the outermost parking lot at the bottom of the drive—and consider car-pooling. 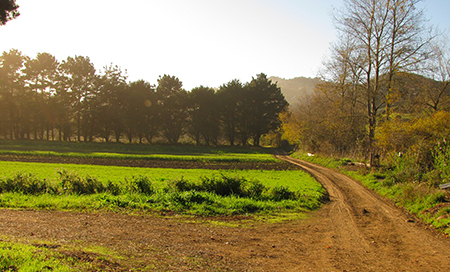 The address for Green Gulch Farm is 1601 Shoreline Hwy, Muir Beach, CA 94965. Please RSVP and address any questions to farm manager, Qayyum Johnson, at farm@sfzc.org.